Internshala Excel Training Review | How I excelled in my internship - Thanks to an online Excel training! How I excelled in my internship – Thanks to an online Excel training! 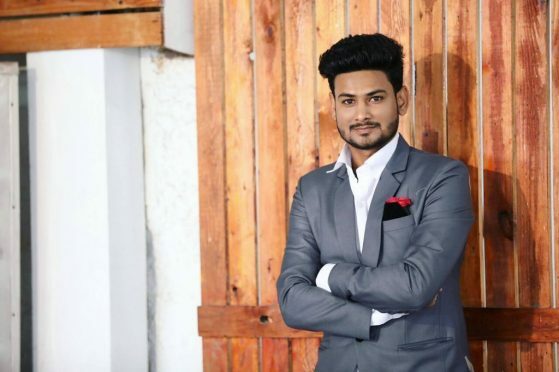 About the Author: Rahul Dilip Ahirrao, a student of Sinhgad College of Engineering, shares his experience of learning Advance Excel and how it helped him during his internship. He also taught the basics of Excel to his father which helped him immensely with his daily work. Though I am an engineering student, I’ve always had an inclination towards business and marketing. During a conversation with a friend, I came to know about the importance of MS Excel for building a career in marketing. I decided to do a training on Excel and started looking for a course which didn’t hinder my college studies and was affordable. A solution showed up in the form of Internshala’s online Excel training and I enrolled in it. The training was well-organised into 4 modules with an assignment and a test in every module. The best part about the training was the flexibility it offered in terms of watching the pre-recorded videos as per my convenience. During the training, I learnt to sort and filter data and display it visually using charts, graphs, and clustered columns. I got to know about various types of charts like gauge, waterfall, thermometer, sparkline, line, and stacked charts and their applications in analysing data. Earlier, I only knew about some basic shortcuts in Excel like copy and paste. The training taught me various other shortcuts like cell addition and deletion along with functions such as index, logical, VLOOKUP, etc. The training comprised of a separate module wherein advanced functions like conditional formatting, pivot table, data validation, etc. were explained. It also consisted of assignments based on real-time industrial data which provided me with a practical exposure as well. I completed the training, received a certificate of completion, and started looking for marketing internships. Soon enough, I was hired for an internship at WaterHealth International where I was responsible for carrying out a market survey and analyzing the data thereafter. I surveyed around 1200 people, asking them a variety of questions. The one thing that proved to be extremely helpful throughout the internship was my knowledge of MS Excel. It could be daunting for anyone to compile the details of 1200 people; however, with a sound knowledge of various Excel formulas for counting, summation, finding the average, and applying conditions, I completed my task easily and effectively. My skills in Excel not only proved to be a saviour during my internship but also simplified the daily work of my father. He is an industrial supplier, so he collects a lot of data like names, contact numbers, and billing details of vendors and manufacturers on a daily basis. He recorded all this data in a notebook, and it was quite difficult and time-consuming for him to find the details of a particular vendor or manufacturer when he needed them. So I decided to train him in Excel since it would make his work extremely easy. I started with teaching him the basic Excel tools, which he mastered within a week, and then moved to functions like date, autofill, search, logic error, graphical surveys, etc. Soon he became proficient in Excel, and now he can look for required details with just one click and does all the calculations in Excel itself! Inspired by Rahul’s review of Internshala Advanced Excel training? Do you also want to learn industry-relevant skills? Enroll in Internshala’s Advanced Excel training today and get an additional discount of 10%. You will be inspiring for generations to balance both the studies and the carrier.